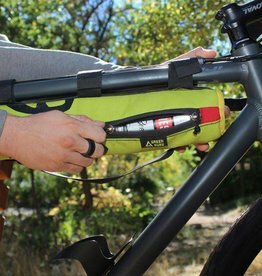 The Sixer is that carrying and insulating solution for transporting your favorite beverages on the bike ride to the park or a friends house. 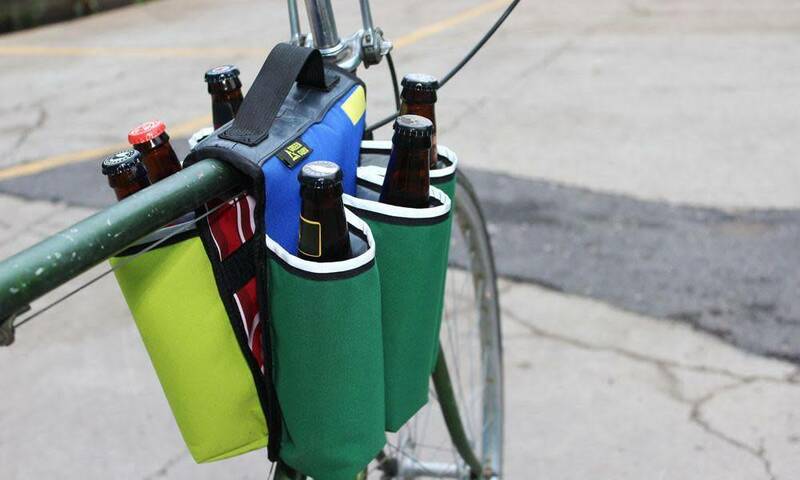 It easily mounts over your top tube of your bicycle with Velcro straps then can be taken off when you arrive keeping your drinks cool in more ways than one. If you aren’t getting as many bike to opportunities, it works equally as well off the bike to transport and easily identify your drinks at the party. 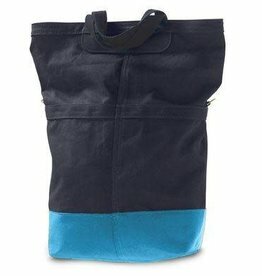 NOTE: Photos of bags may not reflect the actual color that you'll receive in the mail. 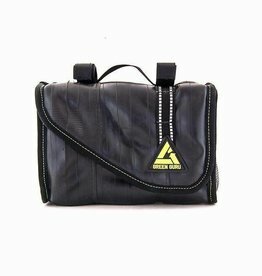 Each one is made with Upcycled Nylon, so colors and prints will vary. 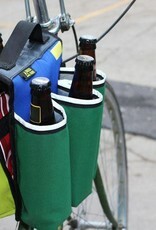 The billboard Dutchy pannier is an easy access “trunk” for your bicycle. 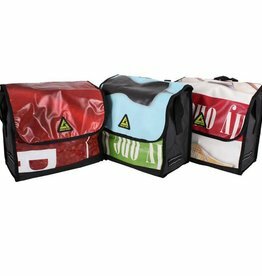 Modeled from the proven Dutch-style bike panniers, these bags will turn your bike into a grocery hauling machine.